You’re never too young to make a positive difference in the world. Don’t believe this statement? Just take a look at what a young boy named Ryan accomplished by the age of seven — and continues to act on to this very day. 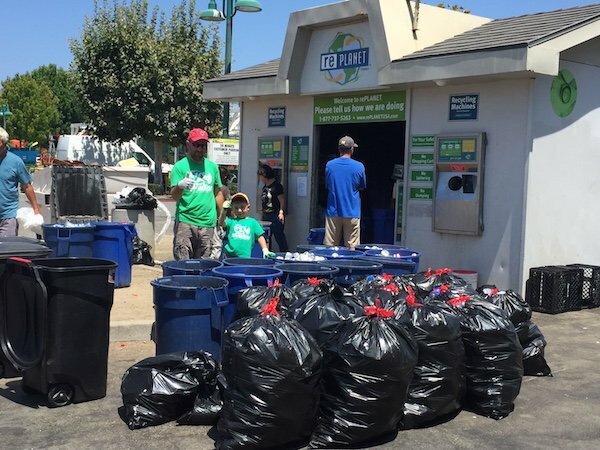 After visiting a local recycling center in Orange County, California, Ryan decided that recycling is a worthwhile initiative to invest in. Despite being three-years-old at the time, the young boy was hooked on the concept. 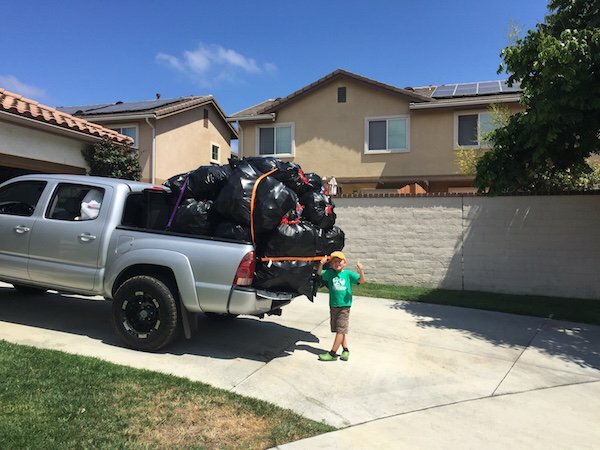 According to the Ryan’s Recycling website, “The day after going to the recycling center, Ryan notified his mom and dad that he wanted to give empty plastic bags to all the neighbors and maybe they would save their recyclables for him.” It wasn’t long before the young boy had a list of regular consumers made up of neighbors and community members. To this day, Ryan collects all kinds of recyclable items, including plastic, glass and tin. He then takes them to a recycling center where he collects money. Reportedly, he’s putting the funds into a bank account to save up for college. Now 8-years-old, Ryan is still as ambitious as ever. 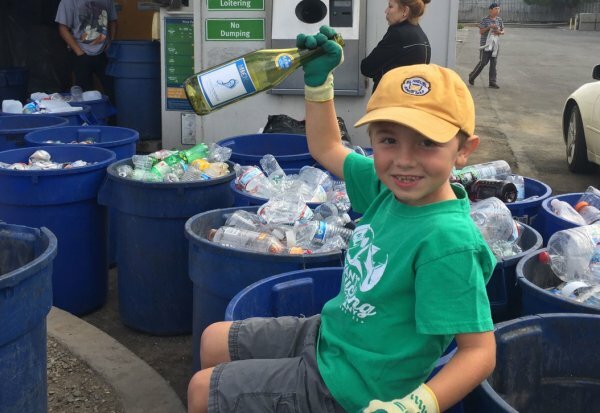 A Youth Ambassador for the Pacific Marine Mammal Center (PMMC) in Laguna Beach, the young man takes pride in helping over 800 marine species which are threatened by extinction. Any proceeds he collects from his Ryan’s Recycling t-shirts to go help the PMMC volunteer efforts, reports One Green Planet. Every week, Ryan a lots a portion of time to sort recycles that have been donated by friends, neighbors, family members and co-workers of neighbors. 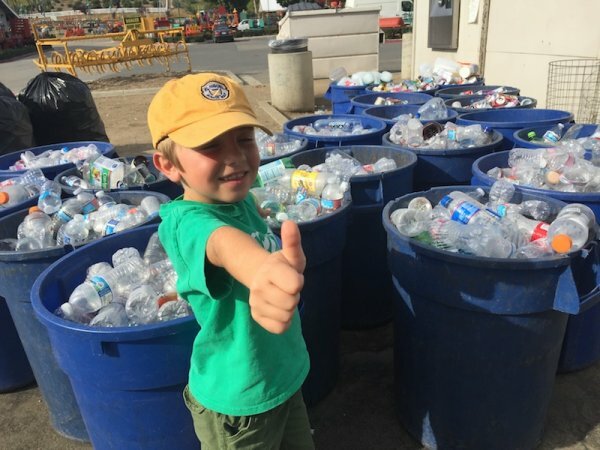 Every week, he and his family make regular trips to the recycling center. All in all, Ryan has recycled over 200,000 bottles and cans and donated $1,624 to charity. Plastic is a big issue on planet Earth, believe it or not. In fact, enough of the stuff is thrown away every year to circle the globe four times. And of that, only 15 percent is recycled. Even worse, 50 percent of the plastic utilized around the globe is used once then discarded. Humans are better than this, which is why recycling materials — or better yet, opting for reusable contraptions — is intelligent and necessary for the environment. 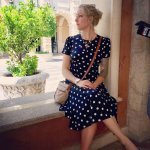 If more people took the initiative to benefit the environment and other humans, the world would be a drastically different place. Fortunately, Ryan is making all the difference with his efforts. Learn more by visiting Ryan’s Recycling website.
? France Will Eliminate Coal By 2022 And Petrol Cars By 2040 Greater Manchester To Plant 3 Million Trees, One For Each Citizen ?